At odds in life ... in love on-line. 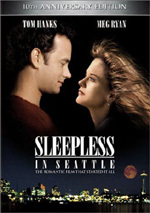 The stars (Tom Hanks, Meg Ryan) and director (Nora Ephron) of Sleepless in Seattle reteamed for this charming audience favorite. Greg Kinnear, Parker Posey, Jean Stapleton and more great co-stars add note-perfect support to this cinematic love letter in which superstore book chain magnate Hanks and cozy children’s bookshop owner Ryan are anonymous e-mail cyberpals who fall head-over-laptops in love, unaware they are combative business rivals. You’ve got rare Hollywood magic when You’ve Got Mail. $18.426 million on 2691 screens. Though both Joe Fox (Tom Hanks) and Kathleen Kelly (Meg Ryan) are in serious relationships, they flirt with each other online. Indeed, they get more excitement from their anonymous e-mail correspondence than from their real-life attachments. In real life, however, they turn out to be rivals. Joe leads Fox Books, a megastore that works overtime to drive out all the small retailers. Kathleen runs a small childrens bookseller in New York’s Upper West Side, right where Joe plans to open a new Fox Books. When they meet in person, they don’t realize their online identities. Joe wanders into Kathleen’s store and finds himself smitten with her, an attitude he continues to maintain even after she rants about the evils of Fox Books. However, he eventually changes his tune, and the two develop a rancorous attitude toward each other, a factor that complicates their eventual meeting. I can’t say that I harbored any form of high expectations for Mail, but I did entertain the notion it might surpass Seattle. It couldn’t be worse, could it? Good question, and one I’m not sure I can answer. To be sure, Mail is a pretty awful movie, but I can’t quite say that it’s crummier than Seattle. I also can’t claim that it’s any better, either, and it doesn’t help that Mail feels a bit like a remake of Seattle. 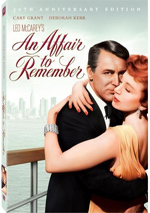 That’s somewhat ironic since Seattle displayed a strong influence from 1957’s An Affair to Remember - itself a remake of 1939’s Love Affair - while Mail reworks 1940’s The Shop Around the Corner. While the connection between Mail and Corner is clear – heck, Corner appears here as a bonus DVD – I still think Seattle was the biggest influence on Mail. Sure, differences exist, but both come from the same writer/director and the same lead actors and both involve a disconnected romance between people who don’t know each other. I think those similarities trump the variations and make Mail seem even more derivative than otherwise would’ve been the case. Even without the feeling that Mail imitates Seattle, it would’ve been a flop. Like most Ephron efforts, this thing couldn’t be more cloying or cutesy if it tried. Vast amounts of screen time depict Hanks and/or Ryan in allegedly adorable situations for no reason other than sheer whimsy. Rather than charm us, though, the scenes get on our nerves. As for Ryan, I don’t really understand her appeal, but then again, I’m not in her target demographic. I suspect Ryan achieved mass success because she’s a plain Everywoman. She’s attractive enough to be a reasonably realistic Object of Male Desire, but she’s not hot enough to be a threat to the women in the audience – an audience that apparently loves to see her scrunch her nose and dress like a princess. That’s not me, and I can’t find any charm or entertainment from the corny, cheesy and cloying You’ve Got Mail. Who wants a romantic comedy with no romance or comedy? You’ve Got Mail appears in an aspect ratio of approximately 1.85:1 on this Blu-Ray Disc. Though not a stunning presentation, the transfer looked good. Sharpness was usually solid. The majority of the movie seemed accurate and well-defined; a bit of softness occasionally affected wider elements, but those were infrequent. Jagged edges and moiré effects failed to appear, and I saw no signs of edge haloes. Source flaws were also a non-factor, as the flick looked clean. Colors were decent to good. The movie opted for a natural palette that occasionally seemed a bit flat, but the hues were generally full and rich. Blacks seemed dark and tight, and shadows looked fine; they weren’t stellar, but low-light scenes demonstrated positive clarity. All of this was good enough for a “B”. The DTS-HD MA 5.1 soundtrack of Mail failed to make much of an impression. Even for a romantic comedy, the scope of the soundfield seemed restricted. The image remained highly oriented toward the front, and the center channel dominated. Music demonstrated acceptable stereo imaging, and effects displayed only some light ambience. The surrounds seemed passive and they presented little more than the most basic reinforcement of the front speakers. Audio quality was acceptable but nothing more. Speech was reasonably natural and distinct, and I noticed no problems connected to intelligibility or edginess. Effects played a small role, but they sounded fairly concise and accurate. The score and tunes were fairly rich and full but not anything more than that. Mail presented a utilitarian mix and that was about it. We get a decent selection of extras here. 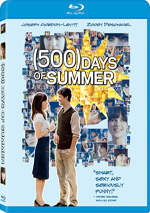 These start with an audio commentary from writer/director Nora Ephron and producer Lauren Shuler Donner. Both sit together for this running, screen-specific look at the movie’s development and the adaptation of the source material, inspirations and story/character notes, cast and performances, music, sets and locations, and a few other filmmaking issues. I’ve heard quite a few Ephron commentaries, and they tend to be all over the place; some are interesting and some are total duds. Happily, the chat for Mail falls into the first category, as it gives us a consistently enjoyable piece. Ephron and Donner cover all of the appropriate areas in a lively manner and create an entertaining discussion. Heck, I liked the commentary more than the movie itself! This is a solid one. Another audio option arrives with a Music-Only Track. As expected, this Dolby Digital 5.1 piece allows you to watch the movie devoid of dialogue and effects; it sticks just with score and songs. That makes it a nice addition for fans of movie music. Three featurettes follow. Delivering You’ve Got Mail goes for 25 minutes, 29 seconds and includes notes from Ephron, Donner, She Loves Me BBC director Terry Hughes, writer Delia Ephron, and actors Tom Hanks and Meg Ryan.The piece looks at the source material and its adaptation for Mail, cast and performances, the dynamic among Ryan, Hanks and Nora Ephron, editing, and various thoughts about the shoot. Created for the movie’s 2008 10th anniversary, “Delivering” veers heavily toward the happy talk domain, as it provides an awful lot of praise and fond memories. Still, it includes a reasonable amount of information as well, and it’s nice to see Ryan, Hanks and Nora Ephron chat together. If you can get past the fluffy bits, the show’s enjoyable. Next comes the 26-minute, 18-second You’ve Got Chemistry. It includes notes from film historians/authors Patricia King Hanson, Rudy Behlmer, and John Fricke, author/film professor Jeanine Basinger, and actor Mickey Rooney. The program looks at famous movie couples such as Rooney/Judy Garland, Katharine Hepburn/Spencer Tracy, William Powell/Myrna Loy, Errol Flynn/Olivia De Havilland, Lauren Bacall/Humphrey Bogart, and Hanks/Ryan. You’re not surprised to see that last pair included, are you? I think it’s a definite stretch to think of Hanks/Ryan as a great screen couple – especially since they only made two successful movies – but I like the rest of the program. It delivers a fun overview of the various screen icons. For the last featurette, we go to HBO First Look: A Conversation with Nora Ephron. In this 14-minute, 19-second piece, we hear frm Hanks, Nora Ephron, Donner, Ryan, and actor Greg Kinnear. Though billed as an insightful chat with the director, this is really little more than a bland promotional take on Mail. Nora Ephron does discuss a few other topics in quick soundbites, but those don’t add much to this forgettable program. Something interactive pops up via the Discovering New York’s Upper West Side “movie tour”. This basically adds up to a 10-minute, nine-second compilation of short clips; we see movie clips and shots from the set accompanied by commentary from Nora Ephron and Donner. They deliver a decent take on the flick’s locations. In addition to two trailers for Mail, we find a Music Video for Carole King’s “Anyone At All”. This is a syrupy ballad that lacks any charm, and the video is a snoozer as well. For the set’s most interesting addition, we get a bonus DVD that includes 1940’s The Shop Around the Corner. This was the film that Mail remade. Set in Hungary, Alfred Kralik (James Stewart) works as the head clerk at a gift shop. Klara Novak (Margaret Sullavan) comes to hunt for a job; Alfred tells her they’re not hiring, but she impresses store owner Hugo Matsuschek (Frank Morgan) and she lands a clerk position. In the meantime, both Klara and Alfred correspond with pen pals – pen pals who just happen to be each other. This goes on for months, and as the pair grow anonymously attached via their missives, they build a real-life dislike for each other at the shop. This builds toward a clash of worlds. Maybe others will disagree, but I think Shop offers a substantially superior film when compared to Mail. I will admit Mail better builds the animosity between its leads, though. Shop tells us that Alfred and Klara dislike each other but we don’t view the growth of their relationship; they’re just foes without much natural progression. Otherwise, Shop works better in every way. The actors give their roles more character and heart, and the film lacks the annoying cutesy, cloying nature of Mail. Shop is wittier and more concise, and it abandons the cheap melodrama of Mail. It’s a winning movie. 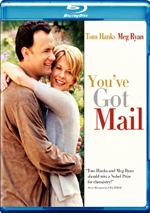 Despite its box office success, 1998’s You’ve Got Mail marked the on-screen partnership of Nora Ephron, Tom Hanks and Meg Ryan. For that, I’m eternally grateful, as their efforts proved to be consistently poor. Mail suffers from too much cuteness and not enough wit or entertainment. The Blu-ray provides good picture quality, mediocre audio and a pretty strong set of supplements highlighted by the (much superior) film on which it was based. I’d recommend that you simply buy the DVD of Shop Around the Corner and leave Mail back in the 90s where it belongs.